There is nowhere in such proximity to Europe that so profoundly opens a window onto another world. 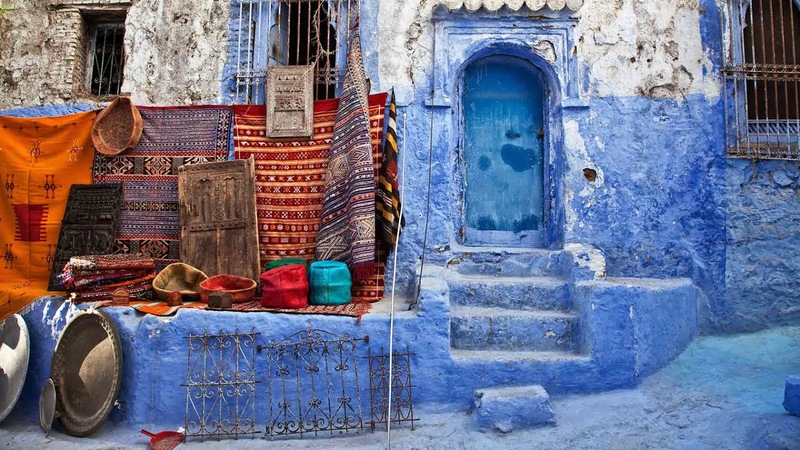 The mountain town of Chefchaouen, Morocco, just two hours drive from the straits of Gibraltar is that place – a perfect window of North Africa -living vibrant proof that even a long stones throw from the homogenized western world an ancient and exotic magic abides. 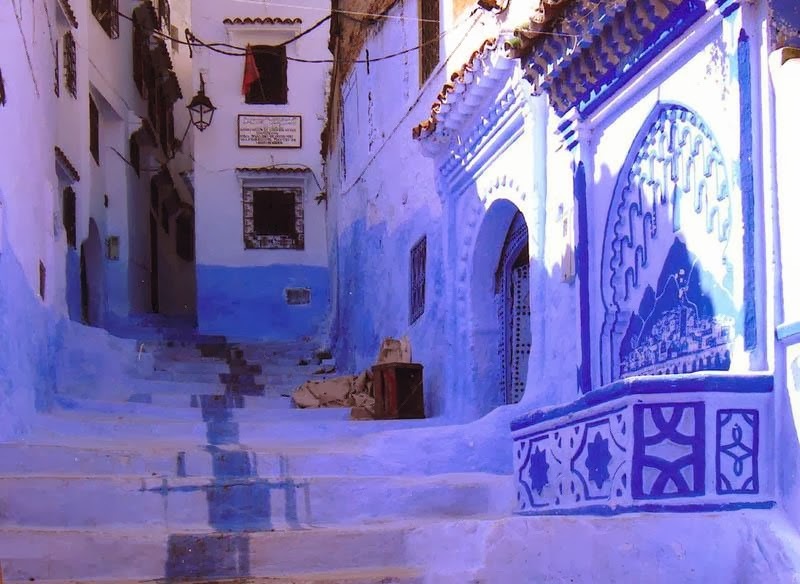 Leave your car or taxi outside the city walls and enter the lime washed blue medina on foot via the gateway called Bab Souk. 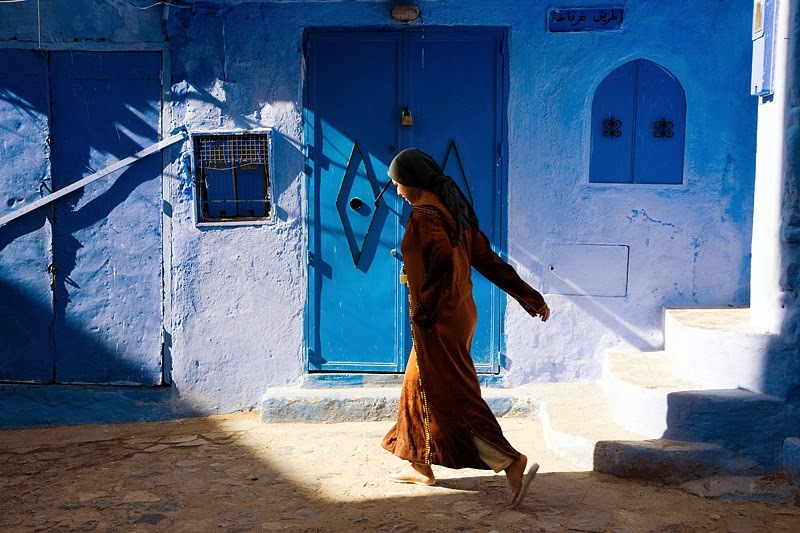 Three minutes walk past spices, Argan oils and cosmetics, baskets, fruit and sweet stalls and you arrive at Dar Gabriel. Superficially you might be on a film set, but Chaouen goes much deeper. Give it time and it will open your heart and move your soul. 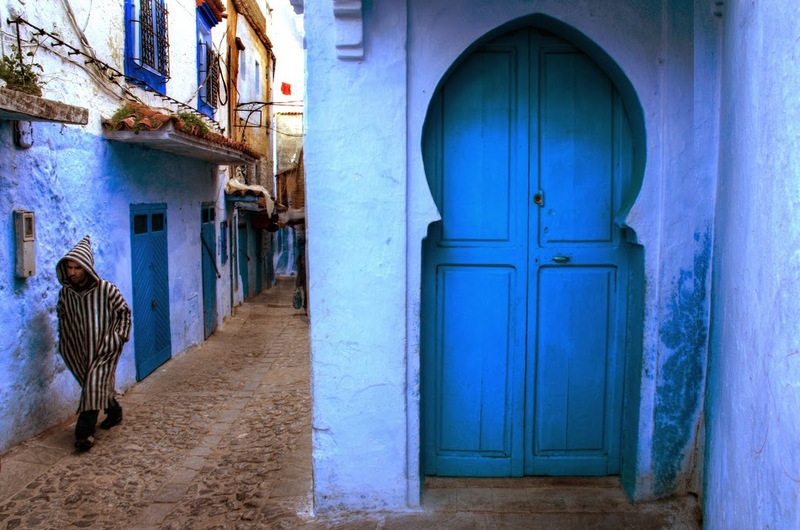 Explore the labyrinthine medina, the cupboard stalls of its artisans looming rugs and blankets, wood working cedar into furniture. 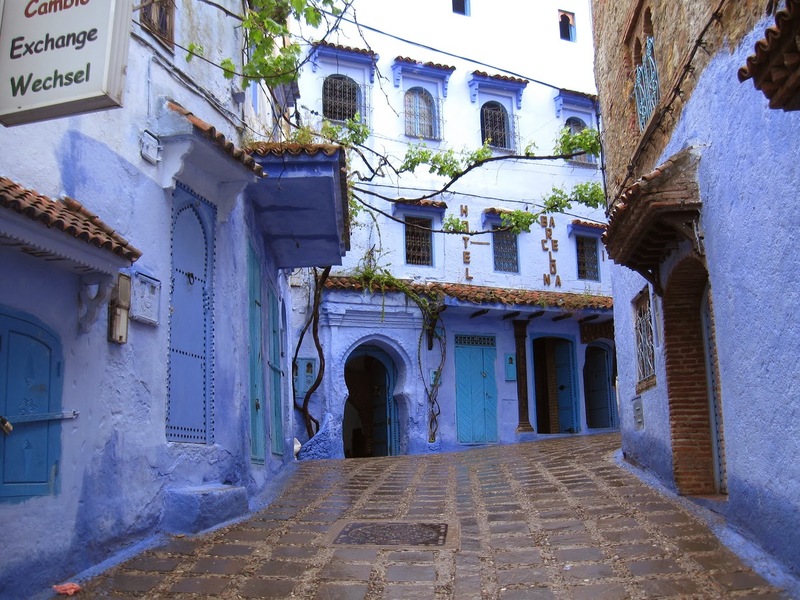 Take mint tea in the central square of Chaouen – nowhere combines grandeur and intimacy quite like the Place Ouda el Hammam – a long row of verandah covered cafes facing a fortified Kasbah and a pristine Mosque across a plaza of stone mosaic. 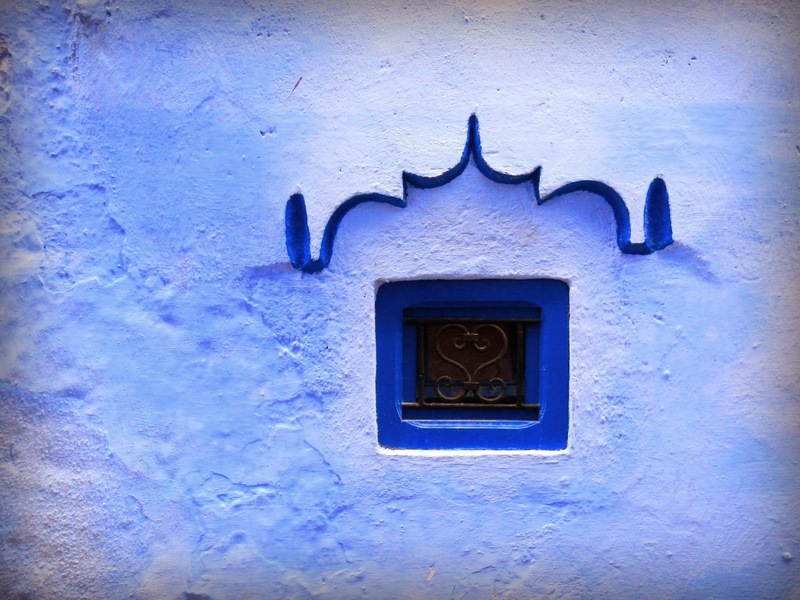 Chefchaouen is home to a unique Berber culture. It’s people are welcoming.